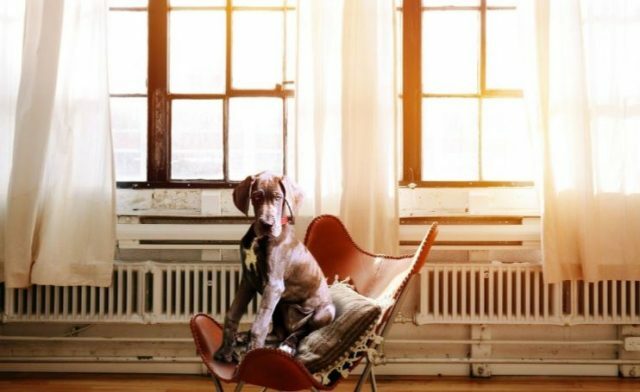 Moving and buying a home is a fun and exciting time for your family, but your dog might not feel the same way. House hunting and listing your own home on the market mean disruptions to your pet’s usual schedule, which can be stressful for pets and owners alike. However, there are a few things you can do to help the move go smoothly for everyone involved. Showcasing your home to potential buyers means a lot of strangers coming in and out of your house. This can be overwhelming even for people-loving dogs, and your buyers won’t appreciate a dog jumping, barking, or getting in the way as they try to look around. In fact, pets can deter some buyers from even considering your home. Scheduling a dog walker during showings keeps your dog happy and helps you attract the widest possible pool of buyers. If you need to get out of the house too, turn it into an opportunity for quality time with your pet by heading to a local ​dog park​. ask a friend for a second opinion or schedule a carpet and upholstery cleaning just to be safe. According to HomeAdvisor, in Charlotte, NC, you can expect to pay ​$116-$204​ to have your carpets cleaned, and it will likely take around 4 hours to complete. This is a very small price to pay to ensure you’re making a great impression to potential buyers. Buying It’s fun to look for homes for sale while you’re out walking your dog. Rather than risking upsetting realtors or homeowners by bringing your dog to a showing he doesn’t want to be at anyway, leave pets at home when viewing houses. If you do spot the perfect house while out with your pet, jot down the address and realtor’s information so you can follow up. After everything is closed and settled, there’s one more step before your move is over. Unfortunately, it’s also the most ​stressful​ part for your dog. Pets don’t react well to changes at home, and packing up the house is certain to cause some anxiety. Try to pack gradually, starting with small things, so as to not set off your pet’s alarms. When the movers are due to arrive, schedule pet sitting so your dog is blissfully unaware of the action until it’s over. In the new house, you may need to set up a safe area for your dog while he acclimates to the new environment. The ​ASPCA​ recommends putting his bed, food, and toys in a single room and provide plenty of affection until he’s feeling confident in his surroundings. This could take a couple of days or longer depending on your pet’s personality. Once you’ve settled in, take some time to explore your new neighborhood with your dog, and keep an eye out for some of Charlotte’s best dog-friendly ​restaurants​ and ​breweries​. Don’t have a pet yet but planning on getting one? There’s no reason not to factor future pets into your house hunting. Look for a house with a fenced yard, scratch-resistant flooring, and other ​pet-friendly features​ to make life with a pet a little bit easier.